Like all professionals, Melissa Jones knows that, sometimes, it just isn’t your horse show. 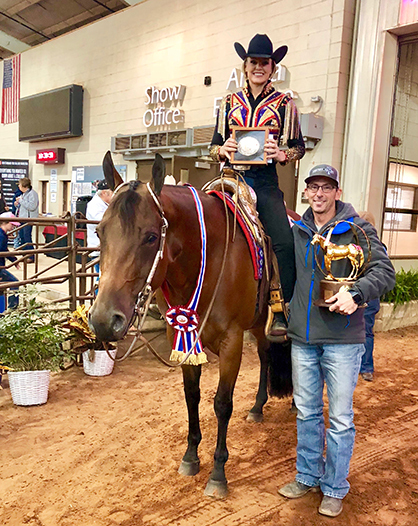 After coming off a lesser than stellar showing at the Quarter Horse Congress, Jones headed home to regroup and make a different game plan for her trip to Oklahoma City for the AQHA World Show. 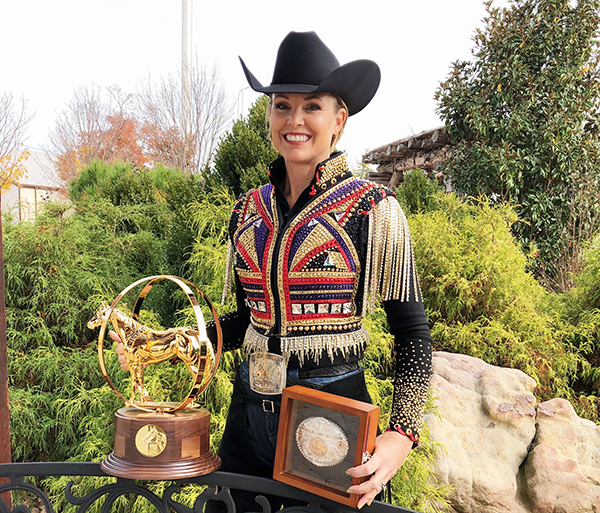 Whatever she did during that week spent at home in Indiana certainly did the trick as she was just named the World Champion in Senior Trail aboard Chilln Ona Dirt Road. 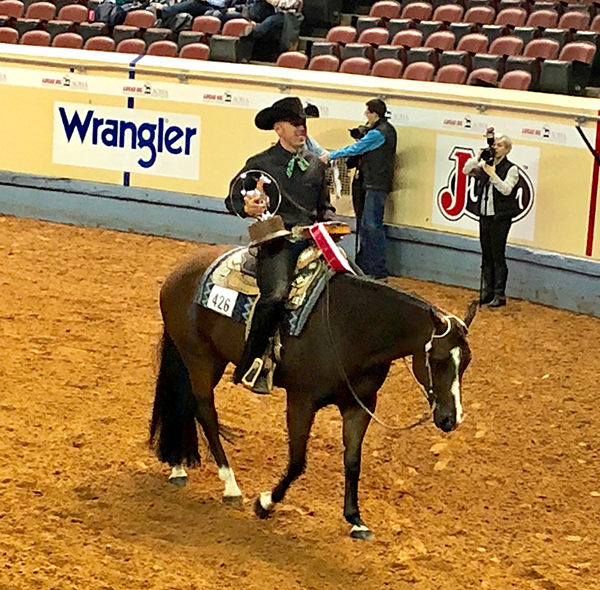 Jones was in the saddle of the bay gelding by Lazy Loper and out of Winnie Persuasion for owner, Klair Merrell of Indiana. Jones and her equine partner managed to edge out the rest of the competition by scoring a 241.5. When the list of 107 preliminary entries was narrowed down to the top 23 for today’s finals, she knew there would be stiff competition with some 14 prior World Champions in the mix. The Reserve Champion in the class was Blake Weis with So Good To B Me. Third was Whitney Lagace with Hot Rockin Potential. Fourth was Blake Weis with Snap Krackle Pop. Fifth was Jason Martin with Heza Radical Zip. Sixth was Deanna Searles with Suddenly A Good Bar. Seventh was Anthony Montes with Signature Absolute. Eighth was Blake Weis with Lover Treat Me Good. Ninth was Bruce Vickery with Investin A Goodbar. Tenth was Ashley Dunbar-Clock with Non Nonsense.